The Best, Cheapest, Fabric Booster EVER! It’s probably not what you think! This item is a little smelly, leaves a bite on your tongue and you can buy it in the baking isle at your local grocery store. Any guesses?! Vinegar will change your life! …in the laundry room at least! This popular food flavor adder is also an amazing cleaner. In the laundry room it takes odors out of your clothing and leaves them soft and fluffy! I have been able to reduce the amount of laundry detergent I use, increase the amount of vinegar, and still have our work clothes come out cleaner than ever. I still fold my husband’s laundry in amazement at how clean and soft they are months after making this switch. Doesn’t matter if he has been in the shop covered in grease or out with the cattle covered in manure. My laundry results have definitely changed all thanks to a $2 bottle of vinegar. My secret revealed– I store the vinegar in water bottles that I place with my detergent to make it easier to pour. With work clothes I only use half of the detergent I’m supposed to (we use Tide. We like the results) and then add about 1/4 cup of vinegar in the wash and about 3 tablespoons in the bleach dispenser so that the clothes also get rinsed in vinegar. This helps take out any odor that might be lingering in our clothing. With “good” clothes I use maybe 5 tablespoons of vinegar in the load and rinse with about 2 tablespoons. I use roughly this amount (probably a little bit more) with JayJay and my work clothes as well. We just don’t get as dirty as daddy! I also found that I can take out about any stain with Shout and this combination. A lot of bloggers and YouTubers suggest using vinegar in your drier as a fabric softener, however I much prefer adding it in the bleach dispenser for that final rinse. I just cannot ignore the clean results. I’d rather take advantage of the vinegar during the washing process. Also, there is only a hint of vinegar smell when you get the laundry out and by the time it comes out of the dryer, I don’t smell anything. By adding vinegar soaked sponges or rags to your dryer load, you end up making everything smell like vinegar. YUCK! I have also found that with a final rinse of vinegar, my washing machine stays a little cleaner as well. I also started washing our shower mats each week after hubby’s laundry with a 1/2 cup of vinegar and sprinkle of laundry detergent in hot water. This thoroughly cleans out our washer each week just so I don’t have to worry about getting anything on our other clothes. FYI- You should NEVER mix vinegar with bleach. While it does sound like an amazing cleaning experience, liquid bleach and vinegar create a super chemical that is actually vary harmful. Next PostNext It’s Never Too Early to Start Planning for Easter! Baby work boots are the CUTEST! Day 6: I was nominated for the 10 day farming/ranching family photo challenge. Each day I will select an image from a day in the life of farming or ranching that has had an impact on me and post it without a single explanation. That's 10 days, 10 photos and 0 explanations! Day 5: I was nominated for the 10 day farming/ranching family photo challenge. Each day I will select an image from a day in the life of farming/ranching that has had an impact on me and post it without a single explanation. That's 10 days, 10 photos and 0 explanations! Day 4: I was nominated for the 10 day farming/ranching family photo challenge. Each day I will select an image from a day in the life of farming-ranching that has had an impact on me and post it without a single explanation and nominate someone to take the challenge. That's 10 days, 10 photos and 0 explanations! The worst feeling in the world is that you are alone in your struggles. I'm here to tell you sister, you are SO not alone. 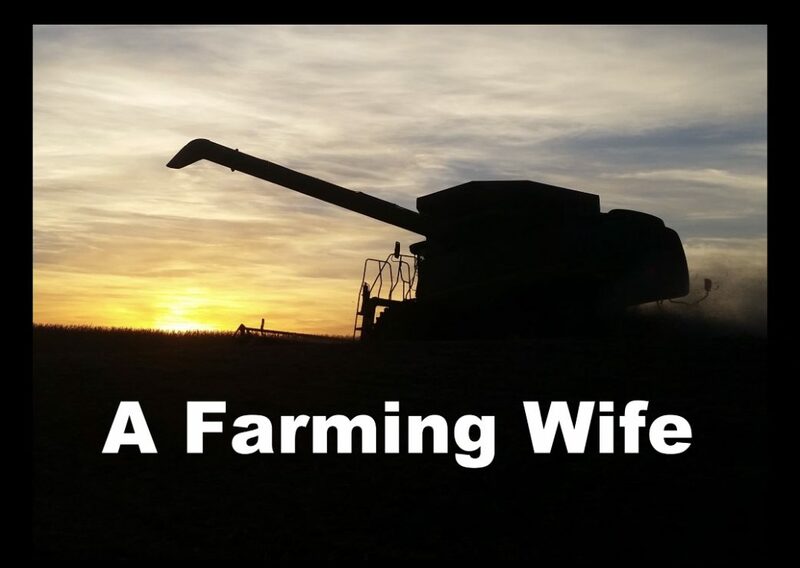 It's hard, its frustrating, but being a mom and a farm wife can also be the most rewarding thing you ever take on. Join me in my journey and lets stick together through life's challenging moments.